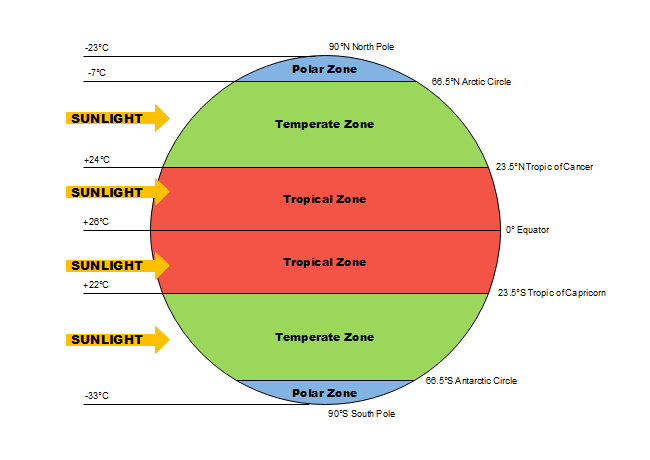 Description: This earth temperature zone template shows the main latitude regions of the Earth's surface. You can clearly see the detailed circles of latitudes and their specific names by clicking on the template. Create more geography educational resources with the free download science diagram software now.